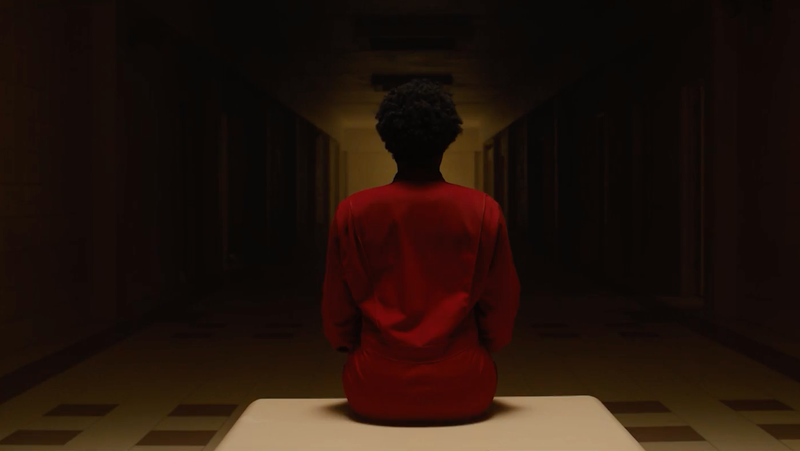 The trailer for Us—Jordan Peele’s follow-up to Get Out—that came out on Christmas actually tried to pretend for a moment that it wasn’t necessarily going to be a horror movie, but any notions that it would be less scary than Get Out were dispelled by the time the weird replica family in the red robes showed up to terrorize Winston Duke and Lupita Nyong’o. This new trailer, which Peele has exclusively shared on the brand new Reddit page for his Monkeypaw Productions company, cuts right to the chase (which is a pun, because that ominous pair of scissors is all over the marketing for this movie). There’s a family on vacation, some weird stuff is happening, and then some extremely weird stuff starts happening. It all looks super scary, and it seems like we don’t need to worry too much about Peele hitting a sophomore slump here. Unfortunately, we do now have to worry about a scary family showing up to kill us. Until Peele decides to put this thing on YouTube, you’ll have to go to that Reddit link to actually watch the trailer. Us will be in theaters on March 22.